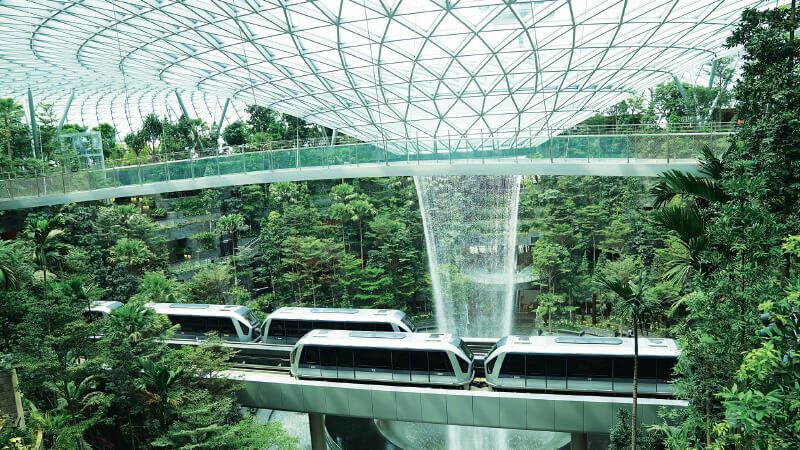 Said to be the world’s highest indoor waterfall and surrounded by thousands of trees, plants and shrubs, the Rain Vortex is the jewel in the Jewel’s crown. While it looks impressive during the day, a sound and light show will transform it into a cacophony of colours when the sun goes down. 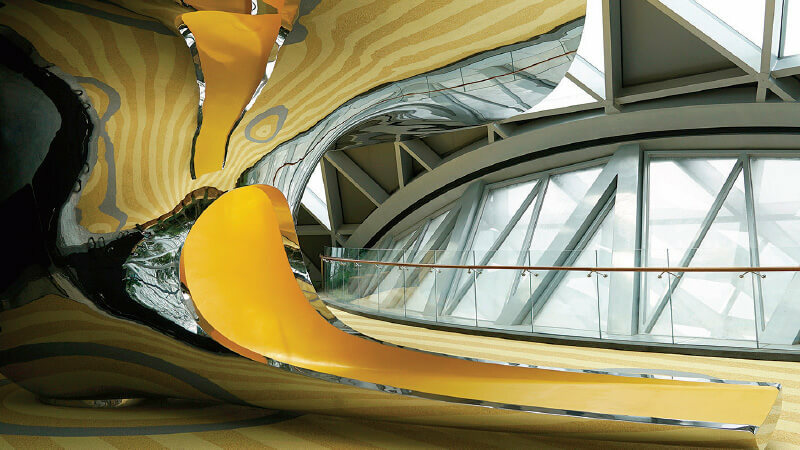 The Discovery Slides will bring out the big kids in everyone. 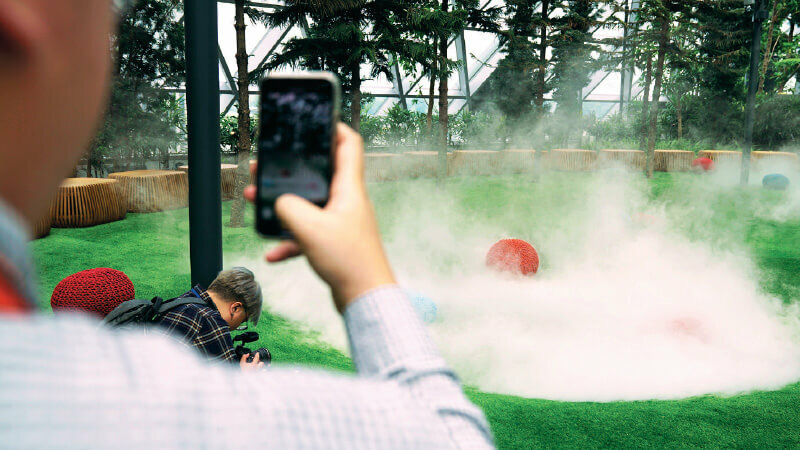 The interactive sculpture features four different slides — two of which take riders through tubes — while the top of the sculpture serves as an observation platform so you can snap your Instagrammable picture of the Rain Vortex. But do not dash there just yet as the activity area is not slated to open until June 10. For fauna, look to the flora. 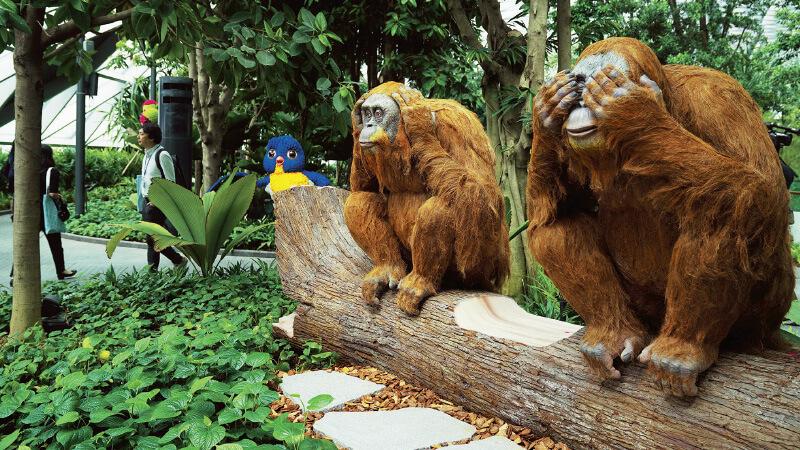 The Topiary Walk will get you up close to a selection of hedge-pruned animals, like these orangutans. 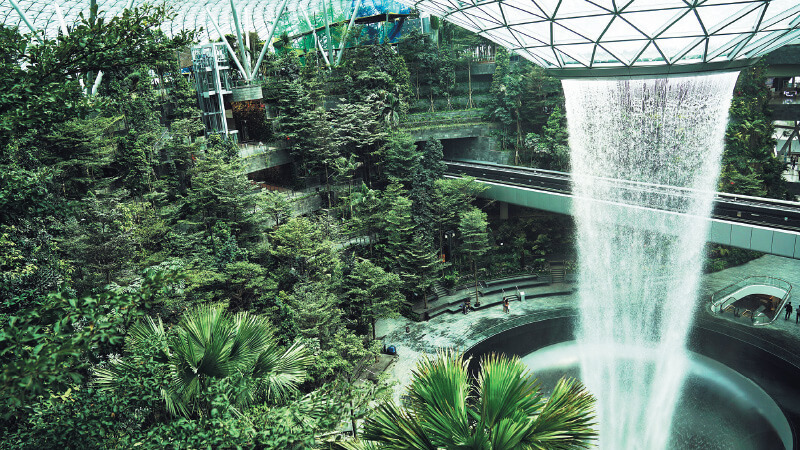 In Singapore, the shopping mall is king. 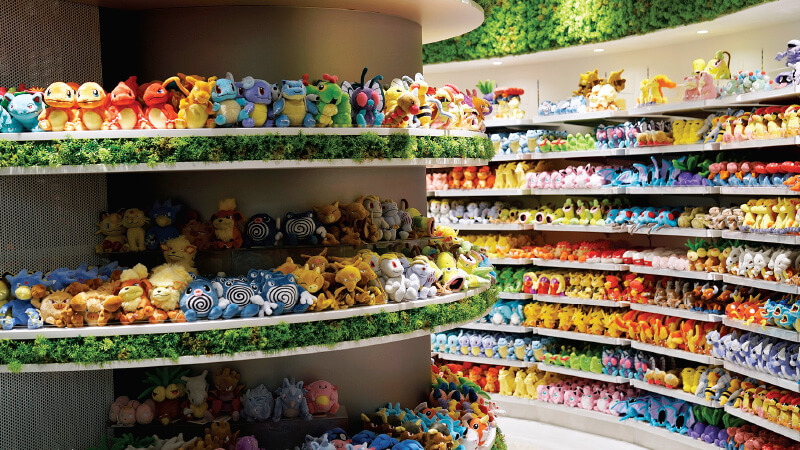 The Jewel has more than 280 stores, including Southeast Asia’s biggest Nike outlet and the first permanent Pokemon store outside Japan, offering toys and video games, with some merchandise exclusive to the city. If walking is too exhausting or you are tight for time but want a quick snapshot of the Jewel — which is built with 9,000 pieces of glass and 18,000 steel beams, and weighs a total of more than 6,000 tonnes — the Skytrain connecting terminals 2 and 3 passes through the dome, pictured here with the Canopy Bridge. London-based mini-hotel operator Yotel is opening up YotelAir, offering 130 rooms that can be booked overnight or just for a few hours to freshen up. Rates start at S$80 (RM244) for four hours. The Jewel also offers early check-in counters for some 20 airlines, if you arrive more than three hours before you fly. 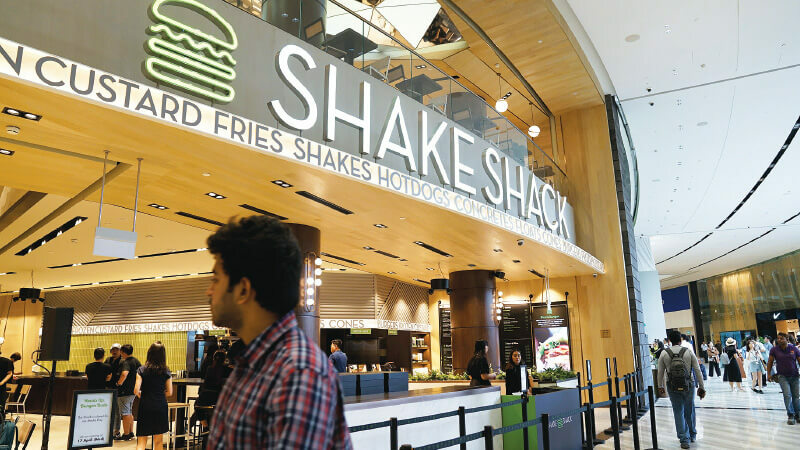 Dining options include Shake Shack, Burger & Lobster, and Tiger Beer’s Tiger Street Lab, which will sell some craft brews exclusive to the Jewel. To sample Singapore’s famous chili crab, head to Jumbo Seafood.